This introductory course will cover all the important aspects of virtualization, including what it is, why it's important, how it's impacting the industry, the challenges and benefits and more. It will also give a high-level overview of key aspects to consider when moving to a virtualized infrastructure, such as analytics, security, how to take the first steps and where virtualization will have the most impact first. This course prepares students for subsequent courses on virtualization. 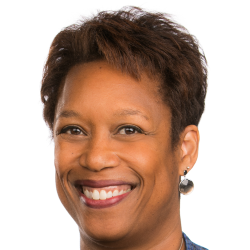 Roz Roseboro has more than 20 years' experience in market research, marketing and product management. Her research focuses on how innovation and change are impacting the compute, network and storage infrastructure domains within the data centers of telecom operators. She monitors trends such as how open source is impacting the development process for telecom, and how telco data centers are transforming to support SDN, NFV and cloud. Roz joined Heavy Reading following eight years at OSS Observer and Analysys Mason, where she most recently managed its Middle East and Africa regional program, and prior to that, its Infrastructure Solutions and Communications Service Provider programs. She spent five years at RHK, where she ran the Switching and Routing and Business Communication Services programs. Prior to becoming an analyst, she worked at Motorola on IT product development and radio and mobile phone product management. Roz holds a BA in English from the University of Massachusetts, Amherst, and an MBA in marketing, management, and international business from the J.L. Kellogg Graduate School of Management at Northwestern University. She is based in Chicago. As traditional networks move to all-IP virtualized networks, service providers are moving to new business and operational models similar to those of the web-scale giants of Google and others. While the opportunity is great, the challenge is equally great due to the many facets of transformation, including provisioning and deploying services, cultural changes, DevOps and Agile methodology and new developments like IoT. During this course, students will gain insight into how the web-scale giants operate, and steps they can take to transform their own companies, departments and businesses to reach the same heights. Josh Goodell is currently leading the initiative to redefine the AT&T Business Solutions core network product offering. Through this initiative, Mr Goodell will deploy AT&T's first software defined networking capabilities to enable fully automated service delivery while driving signifigant cost out of the business. Prior to leading Network on Demand, Mr Goodell led AT&T Wi-Fi which operates the nation's largest Wi-Fi network. He was responsible for delivering network solutions to wide-ranging industry sectors including hospitality, retail, stadiums, universities, healthcare and airports. These solutions help AT&T meet the demand of customers expecting a fast, reliable connection on all of their devices, at all times, wherever they happen to be. Prior to heading the AT&T Wi-Fi Team, Mr. Goodell served as Associate Vice President responsible for Chief of Staff support for the President and CEO of AT&T Business Solutions. In this role, he provided strategic and tactical support for the organization serving AT&T's business customers worldwide, including every Fortune 1,000 company and tens of thousands of small and medium-sized businesses. Previously, Goodell led a Core Network Organization where he managed technicians who installed, maintained, and repaired AT&T's network in California's San Francisco Bay Area. He also served as the Executive Director of Customer Service where he created and executed initiatives to improve the customer experience across Consumer, Network, Small Business, Collections and Operator Services. Goodell previously led Call Center Force Operations where he was responsible for force management strategies throughout California and Nevada. Preceding this, Goodell was a Sales Director overseeing Consumer Call Centers in Los Angeles and Orange County, California. In addition to his AT&T responsibilities, Goodell has served on the Board of Directors for Junior Achievement in Northern California. A native of California, Goodell earned Bachelor Degrees in Biology and Psychology from the University of California, at Irvine, in 1995. Building a virtualized, all-IP network is fundamentally different than a traditional TDM-based network, but in order to achieve capex and opex benefits as well as ensure customer experience, service providers are under pressure to get it right. Industry players are taking different approaches to the critical questions around how to build an NFV infrastructure and where to start. This course will look at various approaches, key goals and challenges and provide insight into which strategy is best for specific network operators. Nick Feamster is a professor in the Computer Science Department at Princeton University and the Deputy Director of the Princeton University Center for Information Technology Policy (CITP). Before joining the faculty at Princeton, he was a professor in the School of Computer Science at Georgia Tech. He received his Ph.D. in Computer science from MIT in 2005, and his S.B. and M.Eng. degrees in Electrical Engineering and Computer Science from MIT in 2000 and 2001, respectively. 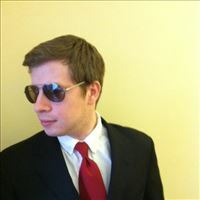 His research focuses on many aspects of computer networking and networked systems, with a focus on network operations, network security and censorship-resistant communication systems. One of the key benefits of a virtualized network is automation -- for everything from security to analytics to provisioning services and more. In addition, automation helps control expenses: automating tasks and processes lower cost, automation ensures adherance to standards and policies and automation speeds new service delivery. However, a good virtualization strategy is required to truly beneft. This course will delve into the details of automation, how service providers can benefit from automation and what a good strategy looks like. Dr. Vallin contributes more than 20 years of network and service management experience to Tail-f, a Cisco company specializing in OSS and NMS systems, and network management standards. He has presented at a wide variety of international network engineering and management conferences. Before Tail-f, he worked as an OSS solutions architect at DataDuctus. Dr. Vallin also served as a network management specialist at Ericsson and a research engineer at the University of Linköping. The Internet of Things (IoT) is promising to explode over the next three to five years, and service providers and enterprises are rushing to grab a piece of the trillion-dollar market. But haste may make waste in the IoT space due to serious concerns around security and network readiness. While 5G may offer some respite, 5G is still a long way off and providers need to make changes now to prepare for the 21 billion connected devices expected to hit by 2020. This introductory course taught by Ericsson will cover all the important aspects of IoT, including what it is, why it's important, how it's impacting the industry, the challenges and benefits and more. This course prepares students for subsequent courses on IoT. Martin Zander works with corporate development, M&A and strategic investments. He has been working in the telecom and the wireless semiconductor industry since 1999, and has held a variety of product management and marketing and sales positions with mobile phones, wireless chipsets and multimedia service layer products. Martin is currently engaged in two major activities for Ericsson as program lead for the Ericsson-Cisco partnership announced in November 2015 and under establishment/implementation, and with aligning and driving the strategy development of the companywide efforts in IoT for the Ericsson Group. IoT is neither a single technology nor a single market; it is a mishmash of networks, systems and technologies, enabling a plethora of market opportunities in multiple industries. This course will examine how operators’ networks will need to evolve in order to address this diverse IoT opportunity, realizing that the solutions that need to be delivered will draw on all parts of the network but will require complex interactions not previously anticipated. It will also address key questions as to how accelerating NFV and SDN will enable IoT configuration agility and smart service flexibility for vertical industries, as well as challenges in the transition to virtualization. Timothy Winters works with companies from all over the world to develop broad-based, flexible testing strategies to cost effectively meet network interoperability requirements for the Internet Protocol version 6 (IPv6), Session Initiation Protocol (SIP), Routing and Home Networking. He is the United States Government IPv6 (USGv6) and IPv6 Ready Logo technical lead for the UNH-IOL. In this role, he oversees various aspects in testing of IPv6 technology, deals with various multi-vendor IPv6 testing scenarios and acts as a liaison between students and vendors during device testing and development. He was instrumental in the UNH-IOL's designation as an ISO-17025 USGv6 accredited laboratory. Timothy has more than 12 years of experience as a UNH-IOL leader and his involvement with cutting-edge technologies has led to outstanding achievement. He is an expert in routing protocols: Open Shortest Path First (OSPF), Border Gateway Protocol (BGP) and Protocol Independent Multicast (PIM), as well as helping deploy the Moonv6 network in the early days of IPv6 as a connectivity specialist and deployment advisor. Passionate about innovation, Timothy has taken the lead for the IPv6 Forum's IPv6 Ready Logo Programs. In addition, he assisted with ISOC World IPv6 Launch by creating the criteria for home networking equipment manufactures to participate. His ongoing collaboration with industry forums including the North American IPv6 Task Force, IPv6 Forum, IPv6 Ready Logo Committee, IPSO, Unified Communications Forum and SIP Forum demonstrates his dedication and persistence in developing new standards, as well as assisting commercial services providers, network equipment vendors and government agencies cost effectively speed go-to-market time for products. Despite the hype surrounding connected homes and consumer electronics, the biggest transformations and economic impact will be industrial IoT (IIoT) applications. From lowering the cost of providing effective and efficient healthcare to the provision of safe water and food to a growing global population, IoT will underpin the fabric of modern society. CIOs will become the essential lynchpin to ensuring secure connectivity and the management of data to provide the insights necessary for product and service development and delivery. This course will cover how service providers can work most effectively as partners in this process to be vital players in this landscape. Once an enterprise-only concern, cloud has made its way into the heart of service provider operations and is a key part of the service provider's transformation to virtualized, all-IP networks. However, many service providers are finding themselves ill-equipped to handle the transformation on all fronts -- including skillsets and culture. This introductory course will cover all the important aspects of transforming to cloud-based networks and services, including what it means for service providers, why it's important, how it's impacting the industry, the challenges and benefits and more. This course prepares students for subsequent courses on cloud platforms and services. Jim leads Heavy Reading's research on the impact of NFV on the control plane and application layers at the core and edge. This includes the evolution path of SIP applications, unified communications (UC), IP Multimedia Subsystem (IMS), session border controllers (SBCs), Diameter signaling controllers (DSCs), policy controllers and WebRTC. Jim is also focused on the network and subscriber impact of Big Data and Analytics. He authors Heavy Reading's NFV and SDN Market Trackers. Other areas of research coverage include Subscriber Data Management (SDM) and fixed-line TDM replacement. Jim joined Heavy Reading from Nortel Networks, where he tracked the VoIP and application server market landscape and was a key contributor to the development of Wireless Intelligent Network (WIN) standards. Additional technical experience was gained with Bell Canada, where he performed IN and SS7 network planning, numbering administration, technical model forecast creation and definition of regulatory-based interconnection models. Jim is based in Ottawa, Canada. The network of networks becomes critical at a time when enterprises want to connect to multiple clouds and do it on-demand and in a secure, reliable fashion. This course looks at how interconnection is evolving to meet the on-demand enterprise requirements, including the evolution of exchanges and the expansion of traditional colocation. Mary Stanhope is responsible for the strategic positioning and go to market of Global Capacity's network products and services. She has more than 23 years in the technology industry focused on meeting the needs of the market. From the introduction of SMS text and prepaid wireless to the development of online communities and launch of Ethernet, she has been a pioneer for architecting change in how businesses and people communicate. She was recognized by Global Telecom Business in the 50 Women to Watch in Telecoms list and in the Fierce Telecom Top 10 Women list in Wireline. LIVE AT BCE - 5G: Are We There Yet? While a majority of mobile operators are still deploying 4G networks and transitioning to LTE mobile data services, the standards community, including NGNM and 5GPPP, has already turned its attention to developing 5G standards, and some service providers, including AT&T, SK Telecom and Verizon, are touting 5G trials. 5G networks will be capable of supporting trillions of Internet of Things (IoT) devices, and high-definition and ultra-high-definition (4K) video to smartphones and tablets due to exponential improvements in scale, throughput and latency. Along with the obvious evolution of the radio air link, the NFV and SDN technologies will play a critical role in 5G architectures. With 5G services expected to begin launching in 2020, now is the time for service providers to begin preparing. Verizon's Flynn and Gabriel Brown, Senior Analyst, Heavy Reading, will discuss the current state of requirements for 5G, and how SDN, NFV and other industry trends, such as mobile edge computing (MEC) and big data analytics, will all play an integral role in the delivery of 5G services. Gerry Flynn leads Verizon's Wireless Standardization work in industry forums and partnership projects and is a key part of Verizon's Advanced Technology Strategy team. He is the primary GSMA contact for Verizon's participation in programs and working group projects and is a member of the GSMA Product and Services Management Committee. Gerry and his team are currently focused on the future evolution of LTE Network architecture and 5G for IP-based services and applications. During his more than 30 years of wireless industry experience, he has managed a combination of technical, business, regulatory and operations positions of increasing responsibility. Viewers are increasingly seeking alternatives and complements to conventional TV, with an ever-growing number of mobile-first video viewers, especially in the highly targeted 18-to-34 age group. An IAB study reported that more than one third of smartphone users watch long-form videos every day on their mobile devices. Together, Saini and Alan Breznick, Light Reading, will discusses how mobile operators are dealing with the challenges of the increase in video traffic on their networks while exploring new approaches to monetizing it. Course participants will gain an understanding of how mobile operators are delivering a high-quality video viewing experience while making the cost of carrying video commensurate with the revenues from mobile TV services. These approaches are enabling mobile operators to pursue new win-win relationships with content providers, attract and grow new subscribers and gain new revenues from mobile video services. Upinder Saini is a senior executive with more than 20 years of experience in the wireless and cable industry. He is recognized as a thought leader for delivering innovative, multi-screen, digital experiences in entertainment and communications services in Canada. He is currently responsible for developing product strategy, roadmaps and operational plans for all consumer wireless products representing $5 billion in revenue. Upinder has a proven track record of leading large teams to deliver innovative and high-value products to support new revenue streams, acquire new customers and manage customer churn. Prior to joining Rogers in 1999, he was with Bell Mobility for four years where he was responsible for data product development and content development. During this time, he led the launch of several new services, including Bell Mobility's wireless web. The rapid rise of cloud services pushed Ethernet service providers to make their services available on-demand. Now the rise of virtualization is creating new demand for network-as-a-service options that combine physical and virtual network elements flexibly, while also delivering on the quality promises for which Carrier Ethernet has become known. This course looks at how that will happen and what network operators need to be doing now to prepare. Chris McReynolds is responsible for the ethernet, cloud and transport services globally and has been with Level 3 for eight years in various product management and corporate strategy roles. Separating a software-based network function from its known hardware execution environment and running it in a relatively unknown cloud environment can be a scary proposition, introducing potential new security vulnerabilities and a rapidly changing environment to secure. Assembling and orchestrating all the right security components to provide VNFs and their underlying execution environments with the right level of security is a large challenge. This course will discuss ways of ensuring that security is preserved in the NFV environment and the security orchestration and other technologies needed for virtual networks. Patrick is the Founder and Principal Analyst of HardenStance Ltd, a leading analyst firm providing best in class research, analysis and insight in telecom and IT security. A lot of Patrick's research is focused on best practise for telecom operators in securing their own networks and providing security services to end customers. In recent years his research has focused increasingly on the security opportunities and threats presented by the telecom sector's efforts to evolve to more software controlled networking including the evolution in network security requirements from 4G to 5G. Patrick has worked in the telecom sector for over 25 years, including in strategic planning roles for Motorola as well as for Nortel's mobile infrastructure business. Prior to forming HardenStance Ltd in January 2017, he worked for eleven years at Heavy Reading, the last three as Heavy Reading's Chief Analyst. For virtualization to deliver on its promises to both reduce operating costs and accelerate service innovation, network operators need to be simultaneously developing their big data and advanced analytics capabilities. These two critical components in the world of NFV and SDN provide the context for service management, self-optimization and self-healing networks. This course will examine the fundamental questions as to the role of big data and advanced analytics and explain what service providers need to be doing as they prepare for virtualized networks. This course prepares students for subsequent courses on analytics. Sachin Katti is an Assistant Professor of Electrical Engineering and Computer Science at Stanford University and also the Co-Founder and ex-CEO of Kumu Networks, which is commercializing his research on full duplex radios. He received his PhD in EECS from MIT in 2009. His research focuses on designing and building next-generation high-capacity wireless networks by combining techniques from information and coding theory, RF systems and networking. His research has won numerous awards, including the 2008 ACM Doctoral Dissertation Award - Honorable Mention, the George Sprowls Award for Best Doctoral Dissertation in EECS at MIT, the IEEE William Bennett Prize, the Best Student Paper Award at ACM SIGCOMM 2012, USENIX ATC 2013, the Sloan Fellowship, the NSF Career Award as well as Okawa, Hoover, Packard and Terman Faculty Fellowships. Security is no longer that wall you build around your valuables or the lock on the safe. It is now a distributed architecture of network intelligence and analytics that is constantly looking at traffic and its behavior and assessing whether there are bad actors at work. This course will look at how analytics can be used to strengthen network and advanced threat protection capabilities, and automate threat intelligence to detect, analyze and remediate attacks. 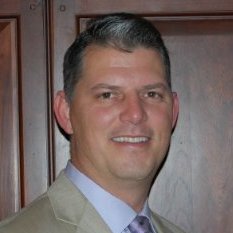 Ray Watson is VP of Global Technology at Masergy. He brings over 17 years of expertise in IT strategy, application solution design and next-generation network architectures. Ray has enabled numerous global enterprises to transform their IT infrastructures to improve business outcomes. Ray is an industry thought leader in IT transformation and a frequent speaker on topics such as hybrid networking, SDN, NFV, cloud connectivity and advanced security. Prior to joining Masergy, Ray worked at Airband Communications and Broadwing Communications. Embedding analytics into operations to measure and improve customer experience helps to track the customer at every single touchpoint, whether it be in stores, through a mobile app, SMS, email, website or otherwise. Service providers are starting to combine data sets and break down the silos that currently hamper their ability to optimize their data assets, but challenges remain. This course will discuss how CSPs can tackle data integration and the lack of skilled staff and implement strategies that can boost the bottom line. Juan F. Gorricho leads the data and analytics strategy development and execution for Partners, one of the top credit unions in the country, exclusively serving the more than 150,000 cast members of The Walt Disney Company. He has more than 20 years of experience in the data and analytics space, including multiple publications and speaking engagements all over the world. In his prior roles with Disney, Juan led multiple multi-million dollar projects to implement business intelligence and analytical solutions for key lines of business such as labor operations and merchandise. The new opportunities of IoT extend not just to those capitalizing on connections, but also to those reinventing themselves to provide solutions for the requirements of our hyper-connected world. While IoT opens up channels of communication that were never possible before -- billions of connected devices allow an unprecedented flow of data it also opens up new points of vulnerability that need to be secured, a new opportunity for those in the security business. This course will look at the various ways to ensure IoT security, including creating partnerships and ecosystems, digital signature and authentication, device management and prevention policies to build security in from the ground up. Jason Porter currently leads AT&T's cyber security business. He is responsible for driving growth and profitability for the AT&T Security portfolio, consisting of network, premise, cloud and mobile security products, threat management and consulting. He leads a large team consisting of Sales, Product, Marketing and Consulting leaders. Since joining AT&T in 2002, Jason has held various leadership positions in Engineering, Strategy, Operations and Marketing spanning consumer and business. He maintains a track record of successfully introducing and maturing emerging technologies and business units as well as transforming businesses. Previously, Jason Porter was Vice President of DevOps for AT&T Partner Solutions where he was responsible for driving profitability and growth of the AT&T Partner Exchange channel. He and his team launched over 25 products, reduced cycle times by 75% and transformed the user experience to earn one of the highest Net Promoter Scores in the industry. Prior to that role, Jason Porter was AVP, Business Development for AT&T Business Solutions, responsible for evaluating and forming strategic cloud partnerships to extend AT&T's market share, develop differentiating features and scale the As a Service business. Jason also was the AVP of Mobility Service Operations for AT&T Global Network Operations. He was responsible for the health, maintenance and growth of voice and data services for over 80 million worldwide wireless subscribers. In this role, Jason successfully introduced products and services such as the 3G MicroCell, Location Based Services, and devices including the iPhone, the iPad, and the Kindle. Prior to his role in AT&T Mobility, Jason was Director of U-verse Operations, responsible for crafting and executing a strategy to introduce a first ever technology and grow it to a scalable solution. He created and executed an "Incubation Center" concept founded in the end-to-end customer experience, maximizing rapid learning and establishing operational discipline in a nascent environment. Jason's leadership in U-verse resulted in numerous patents, awards, and enabled the growth of the first million U-verse customers. Jason holds a bachelor's degree in Engineering from The United States Military Academy at West Point and an MBA from Regis University. He served in the Army as an Armor Officer, leading a Tank Platoon and a Mortar Platoon. He and his wife, Tiffany, have three children and currently reside in Frisco, Texas. The linking of capillary sensor networks to the cloud creates the opportunity for huge amounts of data to be aggregated and shared, with resulting insight and potential second order impact on innovation. To get to this stage, however, an integrated IoT and data analytics strategy is required. This course will cover the role of the telco, cloud providers and other stakeholders in this shift. Centralized intelligence vs. the edge of the network will also be addressed. From WiFi to 5G, the next generation of wireless networks, including 5G, has the potential to broaden broadband data networking and boost demand for mobile video exponentially. This course will give an overview of those next-generation wireless networking technologies, the impact on customers and what they mean for service providers as they look to rule the airwaves. Asfaw Negeri has many years of experience in end-to-end wireless solution design and deployment, strategic New Product Introduction (NPI) and business readiness planning and development. He has in the past worked for Ericsson, Sprint and WeDo Technologies. Building a virtualized infrastructure based on an Openstack foundation is fundamentally different than traditional data center architectures. But it is essential to delivering the agility and cost optimizations required by today's video providers looking to succeed in the multi-screen and on-demand market where consumers expect new and engaging entertainment to be continually and rapidly refreshed. This course will explore some of the specific approaches taken in transforming the development, integration and implementation of video networking infrastructure for powering some of the most innovative services in the pay-TV market. Matt Caulfield is the architect of Cisco's Media Data Center solution for running video workloads on OpenStack. From content providers to service providers, he is an expert in the intersection of cloud and media. He works closely with Cisco's broadcast, post-production and video distribution customers to address their unique use cases in a hybrid cloud environment. Before joining the [email protected] team, Matt spent six years working with Cisco's video group developing high-performance encoding and streaming software. With no end in sight, the demand for video over mobile devices has left many service providers looking at their content delivery infrastructure strategies to ensure quality of experience and performance and reduce latency. But not all networks are created equal, and strategies vary based on geographic location, customer preferences and existing network architecture. This course looks at how service providers are addressing critical performance enhancements, the impact on the network and what those enhancements might mean for customers. 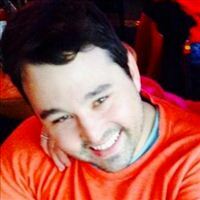 Jason Thibeault is the Executive Director of the Streaming Video Alliance, a worldwide consortium of businesses dedicated to shaping the future of online video through best practices, guidelines and functional/technical requirements. In this role, Jason is focused on managing the day-to-day operations, acting as its chief evangelist and growing the membership base. Prior to the SVA, he spent eight years at Limelight Networks in a variety of capacities. There is a transformation underway in the video industry toward more flexible operating models, faster service provisioning and greater innovation. Key to this transformation is the virtualization and orchestration of video processing and secure delivery of content. This transformation has the potential to improve the bottom line by making it more profitable to support video services and also improve the top line by enabling new revenue opportunities. This course will highlight the benefits and approach to implementing virtualization and orchestration by focusing on a recent customer case study. Rajeev Raman is the Senior Director for Infinite Video, Cisco's cloud video offering, and a member of the Video Software and Solutions leadership team. Rajeev was most recently Founder and CEO of 1 Mainstream, a SaaS platform for media companies and service providers to launch and monetize content services on a variety of connected devices. Prior to 1 Mainstream, Rajeev led all aspects of product management at Roku, Inc. Earlier in his career he was CEO and Founder of mywaves, and Entrepreneur In Residence at Menlo Ventures. Even as telecom operators embrace IT technology and look to virtualized services and operate them on commodity hardware, the service mix they provide requires more than the typical IT data center infrastructure. While many functions will ultimately be virtualized, many will not – leading to a plethora of dedicated appliances, servers and traditional switches and routers being needed for the foreseeable future. Performance and reliability requirements may also play a role in shaping the data center future for telecom, which may ultimately need a more distributed approach to its data center infrastructure. This course will explore how telecom is evolving its data center strategy to support virtualization as quickly as possible while maintaining service standards and supporting future services. This course prepares students for subsequent courses on the telco data center. Jeff Brown is responsible for product development, product management and all marketing functions for Windstream's wholesale business unit, and is also actively involved in Windstream's SDN and NFV efforts. Prior to joining Windstream in 2013, Jeff held leadership positions working in the service provider and cable MSO space, including VP-level roles at Covad and Sprint. Web-scale players and the emergence of cloud networking are changing the communications landscape dramatically and providing tremendous new growth opportunities in optical networking. On the one hand, web 2.0 giants, such as Google, Facebook and Yahoo, are becoming large buyers of DWDM equipment as they connect their massive data centers across cities and countries. On the other hand, traditional telcos are pursuing their own strategy, increasingly outsourcing data centers and creating a connected intelligent-edge strategy that pushes content and data closer to the customers and still requires high-speed optics. This course looks at the future of metro data center interconnect, primarily from the telcos’ perspective. What lessons can be learned from the web-scale service providers? What should telecom operators do differently to put data, content and network smarts where they are needed most? Mr. Lawson-Shanks has been at the forefront of designing and deploying industry leading solutions in both the UK and the US for over 25 years. 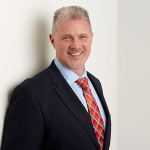 Prior to joining EdgeConneX, Phill was CTO of Virtacore responsible for datacenter build-out, network core architecture and systems to accommodate the migration and consolidation of thousands of clients and infrastructure. Phill’s team also designed and deployed the world’s largest VMware based Public Cloud. At Alcatel-Lucent Phill served as Chief Strategy Officer were he led their effective transition to the cloud, virtualizing many of their programs and creating meaningful time and cost savings. Phill joined SAVVIS as VP and GM of Hosting to re-establish the Managed Hosting business as well as introduce the ‘virtual server’ product. As Founder, VP and GM of Digital Media at MCI (now Verizon Digital Media Services), Phill created the division and received several related patents in the process. Phill holds 8 active Technology Patents secured worldwide including 4 in the U.S. and 4 in Europe. The demand for always-on content means greater need for high-speed pipes and distributed content/applications well beyond the large markets, and that is creating new opportunity for national, regional and smaller carriers and data center operators. It is also reshaping the very definition of interconnection, as data center, colocation/carrier hotel, content-delivery networks and "meet-me" capabilities are combined in new and different ways. This course will look at the changing face of competition in the interconnection world and who can capitalize on these new opportunities. Rodney M. Elder is a 22-year veteran of the computer communications industry. He has extensive background in advanced networking technologies, specifically global and metropolitan Ethernet. He is a MEF Forum Carrier Ethernet v2.0 certified professional. He brings experience starting and creating new emerging products and services, such as high-speed LAN Interconnect at MFS Datanet; award-winning, easy-to-use VoIP IP-PBX at Allied Telesys; and segment-defining BLEC solutions. He was Co-Founder of ARC. Rodney began his business career working for Royal Dutch Shell Oil in Houston at its world headquarters information technology center. During his military career in the United States Air Force as a Technical Controller, he was assigned to the 602 TACC at the 12th Air Force in Austin and graduated top of his NCOIC class as the John Levitow award winner for excellence in military knowledge and leadership skills. As service providers move to virtualized networks, telco center offices are being re-architected to look like data centers. During this course, you will learn more about why the transition needs to happen now, how to make the transition and what the new central office will look like. Guru Parulkar is Executive Director of the Open Networking Research Center, Executive Director of the Open Networking Lab, and Consulting Professor of EE at Stanford University. Guru has been in the networking field for more than 25 years. He joined Stanford in 2007 as Executive Director of its Clean Slate Internet Design Program. At Stanford, Guru helped create three programs: OpenFlow / Software-Defined Networking, Programmable Open Mobile Internet 2020, and the Stanford Experimental Data Center Laboratory. Prior to Stanford, he spent four years at the National Science Foundation (NSF) and worked with the broader research community to create programs such as GENI, Future Internet Design, and Network of Sensor Systems. He received the NSF Director's award for Program Management excellence. Before NSF, Guru founded several startups, including Growth Networks (acquired by Cisco) and Sceos (IPO'd as Ruckus Wireless). He served as Entrepreneur in Residence at NEA in 2001 and received NEA's Entrepreneurship Award. Prior to this, Guru spent more than 12 years at Washington University in St. Louis, where he was a Professor of Computer Science, Director of Applied Research Laboratory and the head of research and prototyping of high-performance networking and multimedia systems. Guru received his PhD in Computer Science from the University of Delaware in 1987. He is a recipient of the Alumni Outstanding Achievement award and the Frank A. Pehrson Graduate Student Achievement award. Open source plays a crucial role in moving to a virtualized network architecture. By using open source software, service providers can increase efficiency and agility but reduce cost. There is a huge uptick in service provider interest in the open source process to build their own internal open source competencies, and learn how to operate in new ways. This course will look at how to make the shift from the traditional standards processes, how the open source process is tackling a new role of competing at the higher levels of the software stack and provide understanding in open source licensing and managing R&D processes. Phil Robb is a widely respected expert in the area of open source strategy, business impact and governance. He is a frequently speaker at international technology and business events and he has been consulted by policy makers, including the European Commission and the United States Department of Justice as well as numerous high-tech trade organizations. Prior to joining OpenDaylight, he was the director of HP's Open Source Program Office where he had responsibility for HP's corporate open source strategy, engagement with the open source community, oversight of the Open Source Review Board and a variety of software development projects. Phil was focused on open source at HP from 2001 through 2012. Prior to HP, he held senior management and technical positions at Critical Path, Fisher Scientific, Motorola and Honeywell-Bull focused on wireless and wire-line high speed telecommunications software and services. Momentum behind open source is growing in the telecom industry, with industry initiatives such as OPNFV seeing robust participation from key vendors. They are taking a page from the IT world by leveraging a more agile, open and collaborative development process, in the hope of providing common building blocks that can be packaged and customized by individual companies. Ultimately, the aim is to reduce development cycle times and deliver new solutions, such as those needed to support NFV. This course will discuss the impact open source is having on NFV platforms and what it means for vendors and operators. Jim Fagan leads the Cloud Practice at Telstra. Based in Hong Kong, Jim joined Telstra from Pacnet, where he held the position of President, Managed Services responsible for the overall financial management and pricing structure of the company's services division. Prior to Pacnet, Jim worked at Rackspace as Managing Director of Asia Pacific, overseeing the management, strategy and growth of the company's Asia Pacific operations. Jim brings with him more than 15 years' experience in product and financial management. Telecom embraced open source in its move to the cloud and has been increasingly active in the open source community as participants and contributors, even creating some of its own open source organizations to address telecom-specific issues. This course will cover how the process is working, what issues still need to be resolved and whether standards bodies are perhaps the better way forward for CSPs. Service providers and enterprises are moving away from proprietary purpose-built hardware to "white box" solutions, including servers and switches -- some using purpose-built software and others on open source software -- in order to seek greater efficiencies and new business opportunities. This course will cover the importance of open source software to the white box transformation and how virtualization and evolving standards will impact that transformation overall. Saikrishna Kotha is currently responsible for leading the white box switching initiative at LinkedIn, Global Infrastructure Architecture and Strategy. He has 17 years of networking industry experience in product architecture and development. He has 11 issued and 17 pending patents in the field of SDN/NFV and emerging networking technologies. His LinkedIn profile can be accessed at: https://www.linkedin.com/in/saikrishnakotha. He also moderates the 20K-member LinkedIn group 'Software Defined Networking (SDN)': https://www.linkedin.com/groups/4359316. As service providers devote increasing resources to implementing NFV and SDN, Agile and DevOps have emerged as solutions to the work silos that were heavily utilized when developing traditional networks. Agile is still a very new way of approaching software development, and company culture and confusion over how to implement Agile have created barriers to using this process to its full potential. This course will explain how Agile methods emerged, the Agile Manifesto and 12 Principles, how companies are successfully implementing Agile, and more. This course prepares students for subsequent courses on Agile and DevOps. Kent J. McDonald helps teams discover the right thing to deliver. His more than 20 years of experience include work in business analysis, strategic planning, project management and product development in a variety of industries including financial services, health insurance, nonprofit and automotive. As the founder of Knowledge Bridge Partners, he helps organizations figure out the right things to do in their IT and product development work. He currently practices those ideas as Product Owner for the Agile Alliance. Kent is author of Beyond Requirements: Analysis with an Agile Mindset and co-author of Stand Back and Deliver: Accelerating Business Agility. Implementing Agile is no small feat, but it starts with taking a hard look at current company culture and identifying how that culture may affect adoption of Agile. Without a clear strategy and KPIs, implementation of Agile can easily devolve into an ineffective, confusing process. This course will explain common mistakes and cover the process of implementing Agile, from identifying company culture barriers, to making the business case, to the process behind building effective teams. Alan Bateman has had a long career in the IT and Telecoms industry working around the world with the majority of major players, leading multivendor collaborative transformational programs. Until 2012, Alan worked for BT, having led two of the company's seven enterprise programs, each having global teams in excess of 1,000 personnel and 10+ supply partners. He delivered the first e2e Agile program in the company (Broadband) and six years later the biggest IT transformation, again using underlying Agile techniques. He now helps a number of companies transition to a more flexible, customer-centered methodology. DevOps is a popular alternative to traditional product development, and provides an open avenue for development and operations teams - network engineers, IT professionals, and product developers - to collaborate and bring products to market in more efficient, cost-effective ways. When implemented correctly, DevOps promises to speed product development and deployment, unite historically divergent teams, and provide a better framework for anticipating roadblocks and making quick course corrections. This course will explain what DevOps is, the benefits and challenges to implementing DevOps, why and how organizations interpret DevOps differently, and explore case studies of successful DevOps teams. Colin Kincaid is responsible for articulating a vision for the evolution of the service provider business and defining a strategic plan to advance that vision through the Cisco Service Provider services, software and hardware portfolio. Prior to the CTO role, he led a product management team focused on addressing the needs of web and OTT customers. In his career at Cisco, Colin has led a number of high-impact initiatives, including leading international, cross-organizational development of service provider subscriber services for Cisco's mobile wireless strategy and hospitality broadband businesses, running the Professional Services and integration teams deploying software solutions in carrier network and OSS/BSS environments, managing the development of Cisco's 10K switching platform from its inception and VPN security product development. In order to implement DevOps, organizations need buy-in from executives, and a strategy for incorporating DevOps into traditional business operations. Identifying key performance metrics is key to presenting the business case for DevOps, keeping a check on progress, eliminating waste and boosting the bottom line. This course will explain how to secure support for DevOps implementation, avoid common pitfalls that arise in DevOps architecture, streamline processes, and more. Burt Klein is one of only a handful of DevOps transformation subject matter experts at Tech Mahindra. He is a key part of a small team which focuses on helping clients plan, educate and mentor staff members as well as working to create and improve existing processes to support the DevOps transformation. He joined Tech Mahindra from CA Technologies where he was the CTO and DevOps Evangelist within the Application Delivery business unit. His primary responsibilities at CA Technologies were to inform leading worldwide organizations and alliance partners on the value of DevOps within the software development lifecycle. Burt has been traveling the globe speaking to the revolutionary technology capabilities of service virtualization, release automation, test data management, test automation and release management and how they can positively impact an organization's ability to delivery applications with greater speed and increased quality while reducing cost and business risk. He is also responsible for sharing the success stories of countless early adopters and actively participating with executive-level steering committees that are focused on the large enterprises implementation of this new and exciting capability in the application economy. From next-generation passive optical networking (NG-PON) to fiber-to-the-home (FTTH) to DOCSIS 3.1 to G.fast, the advances in next-generation broadband technologies are complex and varied and dependent on providers and location. However, all have one thing in common and that's to deliver gigabit speeds to a data-hungry customer base. This course will give a high-level overview of the technology landscape, the challenges and the benefits of each technology, and prepares students for subsequent courses in our Gigabit module. Will Barkis, PhD, runs the Smart Cities portfolio at Orange Silicon Valley and contributes to the Orange GigaStudio, a consumer apps program that benefits consumers with super-fast networks. He also serves as Volunteer Technology Advisor to the SF Mayor's Office of Civic Innovation. He served as Director of Mozilla's Gigabit Community Fund and has worked at the National Science Foundation, where he collaborated with the White House to launch the US Ignite next-generation apps initiative. While the technology behind high-speed broadband networks is evolving rapidly, operators face challenges in not only determining the right architectures to support gigabit speeds, but also how to migrate from legacy infrastructure to newer equipment, and how to plan for future upgrades. This class will cover deployments, roadmaps for future technology development, and the best ways to manage ongoing network operations efficiently and cost effectively. Alan Breznick, Cable/Video Practice Leader at Light Reading, will co-present this course. Dr. Robert Howald has over 25 years of technology and executive experience in commercial and military communications systems. He is Vice President of Network Architecture at Comcast, focused on the evolution of cable systems and services, future network architectures, and emerging broadband technologies. He held a similar role at ARRIS and the former Motorola Mobility. Prior to this, Dr. Howald was the Vice President of Engineering at Xytrans, specializing in millimeter wave products for cellular backhaul, homeland security, and people screening. He was also the Director of Systems Engineering with General Instrument and Motorola's prior Broadband Communications Systems division. The idea of a "Smart City" with gigabit broadband speeds for residents and businesses goes deeper than pure entertainment value. In fact, high-speed broadband promises to improve the services cities can offer their communities, from smarter power management and advanced educational opportunities to better transportation control and more effective emergency services. This course will cover smart city transformations underway today, what that transformation looks like from the network side and what the future holds as technology continues to evolve. Joe Kochan is responsible for day-to-day operations, finance and program management for the national non-profit organization US Ignite, based in DC. Prior to co-founding US Ignite, he worked as part of the Department of Commerce's BTOP grant program. Prior to that role, he was a Founder and Vice President of Operations at DigitalBridge Communications (DBC), a Virginia-based startup backed by more than $40 million in venture funding dedicated to bringing broadband services to small, underserved markets nationwide using broadband wireless technology. Previously, Joe worked with Verizon, with responsibility for strategic planning and project management, specifically focusing on the military housing market and the implementation of the first Verizon FiOS networks at military bases across the country. The cable industry is ramping up to gigabit speeds with DOCSIS 3.1 deployments and cable providers are revealing their deployment plans, but there are pros and cons, including HFC network upgrades, splitting nodes, switching RF optics, OSS and lack of spectrum. This lecture will delve into DOCSIS 3.1 and where cable is headed with SDN/NFV, software-based networking and other new technologies. Saifur Rahman, Distinguished Engineer at Comcast Cable, and Alan Breznick, Cable/Video Practice Leader at Light Reading, will co-present this course. Ty Pearman is Director of Access Architecture for Comcast. As a 22-year veteran in the cable industry, Ty joined Comcast in 2005. Ty is currently focused on deploying converged services on CCAP platforms including supporting tools and processes surrounding the platform. Most recently, he has been involved in DOCSIS 3.1 deployments and developing and evaluating new distributed remote Phy and remote MAC/Phy architectures. Ty has also worked on a number of advanced video engineering initiatives within Comcast, including several of the industry's first ETV trials, all-digital video migration and NGOD (next generation on demand) programming technologies, including SDV. Prior to joining Comcast, Ty spent ten years in broadband Internet engineering positions, including serving as data network engineer for Charter Communications, a system engineer supporting the implementation of CMTSs for ADC Communications and Terayon, and as a member of the CableLabs technical staff, where he participated in developing DOCSIS. Artificial intelligence and machine learning, or when the software-defined networking (SDN) elements are able to intelligently move, adapt and control the network based on network data and status, are key elements in securing networks in a virtual world. This course will take a look at how securing a virtual network differs from securing a traditional network, and examines the fundamental technical and mindset changes service providers need to make as they prepare for virtualized networks. This course prepares students for subsequent courses on security. Marty is currently responsible for Mobility and Cloud Security in support AT&T's transformation to software-enabled architecture. She has 15 years of experience and has held various positions in AT&T. Marty is also responsible for developing the security architecture and framework for Mobility, Network Virtualization based on the User Defined Network (UDNC), and Emerging Services including Connected Car, Digital Life, U-Verse, etc. She served as a member of the CTO Technology Council that was chartered to provide technology thought leadership for AT&T and the partner community that makes up AT&T Technology Ecosystem. She led strategic initiatives to accelerate innovation through internal rapid development efforts and focused industry collaborations. As service providers become reliant on new virtualized network architectures, virtualization, fabrics and clouds, data centers have taken center stage as key elements in network transformation and are more important than ever before. This course looks at how data center security can evolve alongside network transformation and meet stringent security compliances and audits. M. Rasool Kareem Irfan is the Telecom & Infrastructure Security Practice Head at Tata Communications Transformation Services Ltd (TCTS), a leading managed services provider specializing in network and business operations across telco lifecycle and consultancy & business enablement services to global communication service providers (CSPs). He has led various global security and strategic consulting projects for CSPs. Irfan brings over a decade of experience in security consulting, security assessments, managed security & security operations center, data center & cloud services. He is a Certified Ethical Hacker and also holds global certifications in security industry, including ISO/IEC 27001 lead auditor and multivendor certifications. As an evangelist and a prominent blogger in information security, Irfan works closely with reputed global telco forums and institutions. DDoS attacks have increased 40% over the last two years, according to research from KPMG, and the cost of a breach for a business can average $5 million in operating expenses and lost business, according to IDC. However, solutions are not one-size-fits-all and a mix of solutions must be considered. This class covers how businesses can adopt DDoS countermeasures and redesign their network topology to protect their assets. Gary Sockrider is an industry veteran bringing more than 25 years of broad technology experience ranging from network security to routing and switching, data center, mobility and collaboration. His previous roles include security SME, consultancy, customer support, IT and product management. He seeks to understand and convey the constantly evolving threat landscape, as well as the techniques and solutions that address the challenges they present. Prior to joining Arbor in 2012, Gary spent 12 years at Cisco Systems and held previous positions with Avaya and Cable & Wireless. The most publicized sides of the open source and security argument -- more security risk due to the openness/less security risk because of the extra eyes on the code -- are not the main security issues to worry about when it comes to open source. Distribution can be vulnerable to malicious code; patches can also introduce vulnerabilities; tracking bugs in the code makes bugs more visible; and some developer teams are better than others. This course will look at security and open source and tell both sides of the story. One of the core challenges service providers face in successfully implementing virtualization is MANO, or management and orchestration, which is the process of transitioning from legacy hardware to virtual machines and the strategic implementation of NFV architecture in the network. This course will cover the three functional blocks of MANO, strategies for integration with open APIs, best practices for utilizing key technologies in MANO and successful MANO case studies. Toby Ford leads technology efforts around AT&T's cloud offerings both internally and externally focused. Currently, he is responsible for shepherding SDN and NFV projects onto AT&T's Integrated Cloud (AIC) platform. Previously, Toby served as CTO for USi, which was acquired by AT&T in 2006. He has held positions at Cornell University, ARINC, TeleCommunication Systems and his own company in the Netherlands. He has been a member of the OpenStack Board of Directors since its inception in 2012. Open source software is playing an increasingly active role in NFV MANO as service providers utilize the software to advance the interoperability of NFV architectures. This course covers the growing role of open source in NFV MANO, including use cases, and identifies how operators can successfully implement open source in their NFV strategies. James Crawshaw is a contributing analyst to Heavy Reading's Insider reports series. He has more than 15 years of experience as an analyst covering technology and telecom companies for investment banks and industry research firms. He previously worked as a fund manager and a management consultant in industry. Both NFV and SDN enable rapid innovation at the network and service level, by centralizing network control, automating security functions, speeding service deployment, improving traffic management and more. Yet as virtualization ramps up, service providers are seeking strategies around challenges like vendor selection, incorporation of open source software, and interoperability with legacy equipment. This course covers the core concepts of SDN, networks-as-a-service and network functions enabled by SDN, and explains how telcos can balance the need for increasing network agility with the bottom line. This course prepares students for subsequent courses on SDN. With more than 25 years in the telecom industry, Isch started his career at MCI Telecommunications (now Verizon) before moving in 2001 to Orange Business Services, a global integrator of communications solutions for multinational corporations. He has worked in various operations and presales technical capacities covering a wide array of data networking, voice and Internet solutions. He is well versed in networking technologies, including SDN/NFV, SD WAN, IP, MPLS, SIP, among others. One core advantage of SDN is the ability to directly program the network, and quickly add applications on top of the SDN controller. Open source software is emerging as a viable alternative to proprietary automation tools, but telcos grapple with concerns over cost, security, standards and whether or not the software is "carrier-grade." This course will cover open source opportunities for advancing SDN strategies, challenges to implementing open source, key open source projects for SDN, and how telcos are balancing open and proprietary solutions for SDN. Chris Rice, Senior Vice President of AT&T Labs, Domain 2.0 Architecture and Design, is responsible for delivering the architecture and design of AT&T's software-centric network. This transformation uses software-defined networking and network functions virtualization to deliver products and services to the customer. Prior to this role, Chris was the Vice President of AT&T Labs, leading the research and advanced development for the software-centric network. Since joining AT&T in 1995, Chris has contributed expertise and focus on wireless and broadband communication systems. He worked on satellite and broadband data communication systems. He also led development efforts for a digital radio-based, pico-cellular basestation, which provided in-building, mobile voice communication on standard cellular phones. The implementation of software-defined architectures in data centers gives operators the tools to not only run agile, virtualized networks but also to quickly adapt to new business requirements. Software-defined data centers (SDDC) provide virtualized resources on a larger scale and on an as-a-service model, enabling service providers and enterprises of varying sizes to advance their virtualization strategies. This course examines how service providers can boost automation, improve security, and lower opex with SDDCs; and addresses the challenges of software-defined data centers for service providers. Paul Mason is a network and virtualization expert with more than ten years of experience. He began his career with Cisco, where he earned his CCIE in Route and Switch while he helped enterprises architect their global networks and data centers. He was an early expert in the Cisco Unified Compute System and worked with many Fortune 500 companies to deploy virtual data centers and private clouds. He recognized the shift the enterprise is making to the cloud and made his own shift to Equinix where he focuses on helping customers make the transition from legacy systems to cloud systems. Paul now advises his clients on the technical and business impact related to transitioning business to the cloud. In the early 2000s, interest in implementing IP and optical integration gradually waned over concerns surrounding vendor lock-in, the threat of reduced network capacity, and an inflexible photonic layer. Today, SDN shows real promise in supporting IP and optical integration by enabling management and control across multiple layers. This course will cover past challenges to IP and optical integration, how SDN enables this integration, and benefits like increased network efficiency and better bandwidth provisioning. Sterling Perrin has more than 15 years' experience in telecommunications as an industry analyst and journalist. His coverage areas at Heavy Reading include optical networking, cable MSO infrastructure and services, and digital content. He also authors Heavy Reading's Packet-Enabled Optical Networking Quarterly Market Tracker, a special quarterly research service. Perrin joined Heavy Reading after five years at IDC, where he served as lead optical networks analyst, responsible for the firm's optical networking subscription research and custom consulting activities. Prior to IDC, Perrin worked for Standard & Poor's, where he delivered global industry analysis on a range of IT segments. He is a former journalist and editor at Telecommunications Magazine, and has also done consulting work for the research firm Current Analysis. Perrin is a frequent speaker at telecom industry events and is a highly sought-after source among the business and trade press. This course will examine different modeling techniques telcos use for predictive analytics, and how the move toward network virtualization and 5G is shaping approaches to predictive analytics. In this course, listeners will learn about a case study on the restructuring of one operator's advanced analytics team, the cultural and technical challenges they faced in making the transformation, and their tactics to enable users with data self-service. Sarah Obermayer leads a team that manages AT&T Global Supply Chain's Data & Analytics program. Key responsibilities for this team include project and process management, user support and training, monthly systems release management, and consultative analytics implementations for AT&T Global Supply Chain. Prior to this role, Sarah served in a variety of roles in AT&T Global Sales & Service Management, Consumer Supply Chain Planning & Project management as well as other operations roles in the telecom industry. The success of software-centric platforms, leveraging virtualized functions and cloud-centric applications, depends on the interconnectedness of the ecosystem, as well as evolving the technologist's skillset to develop and support advanced APIs and streaming analytics platforms. This course will examine the business impact of these technologies through customer use cases and how the workforce is changing to support the new model. Travis Ewert oversees the development of SDN Control Automation for network and service activation, management and programmable networking as tied to data/analytics and extended to the customer for dynamic service enablement. He also oversees software development of OSS platforms and network applications (UCC, CDN, IP-Video and NFV). Prior to his current role, Travis spent more than 20 years in technology, engineering, IT/development, operations and marketing leadership capacities. This course covers the challenges operators face in furthering their goals for NFV while also meeting security requirements. Edward J. Fox is responsible for the planning, deployment, and operations of MetTel's broadband, data and VoIP network infrastructure. He has over 20 years of telecommunications and network experience managing massive organizational and customer growth at major telecom providers. As service providers seek out new opportunities to lower capex and opex, drive innovation and boost network capacity, they are exploring the ways white box initiatives, virtualization, open source and SDN can be combined with data analytics to further automation of the network. This course examines the challenges and opportunities in the use of open source and automation in accelerating the deployment and management of network and business services. As the director, Heather Kirksey works with the OPNFV community to advance the adoption and implementation of open source NFV platform. 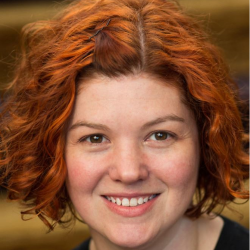 She oversees and provides guidance for all aspects of the project, from technology to community and marketing and reports to OPNFV board of directors. Most recently Kirksey led strategic technology alliances for MongoDB. Earlier in her career she held various leadership positions in the telecom industry including running a partner program for CPE, doing solutions marketing for the IP Division at Alcatel-Lucent, business development, and participating in numerous standards activities. While at Broadband Forum she helped create and launch TR-069, served as BroadbandHome Technical Working Group Chair, served on the board, and oversaw collaborative activities with ATIS, 3GPP, OSGi, ITU-T, OMA, IETF, Small Cell Forum, UPnP Forum, Home Gateway Initiative, and other groups. She received her master's degree in English Literature from the University of Texas, Austin. Upskill U offers decision-makers the education they need to navigate the sweeping changes happening in the communications industry. Here's a snapshot of our upcoming courses. Click on the topic to register. Hi, good post, bravo ! Thanks a lot, Heather and Kelsey, I realy enjoyed this presentation. Best regards to all and everyone at UU,LR &HR. Key function of SDN,.., enabling agile and faster development, as well as continuous delivery and orchestration. @HRKirksey Isn't that what incorporating big data into ONAP is essentially working towards? Thanks, Kelsey and everyone for the great conversation. Happy Labor Day in America! @Heather one more listener question: Is there any opportunity out there for automation + AI? I see a question about compatibility with LAAS. Do you mind clarifying your question just a bit? open source has a lot of eyes on it thus perhaps making it more secure?? ?